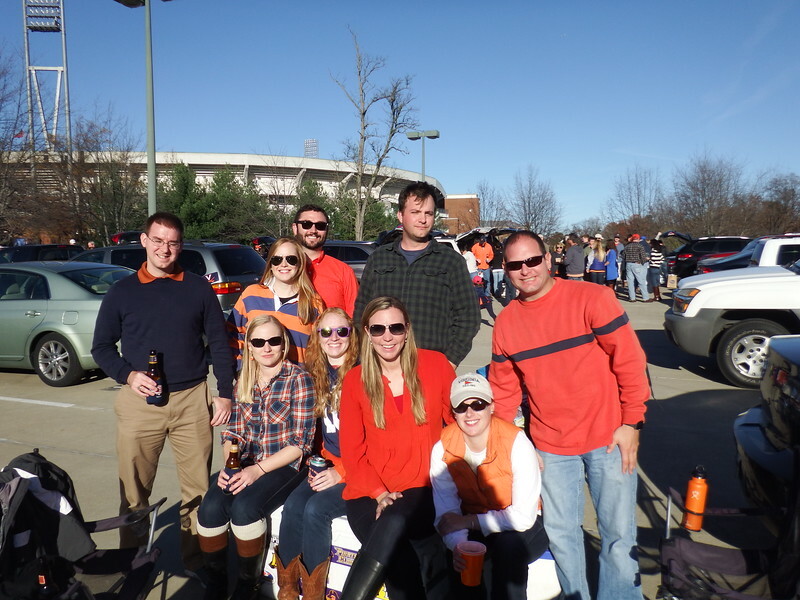 I joined some UVA friends on a non-ECU weekend for the UVA vs Duke game. 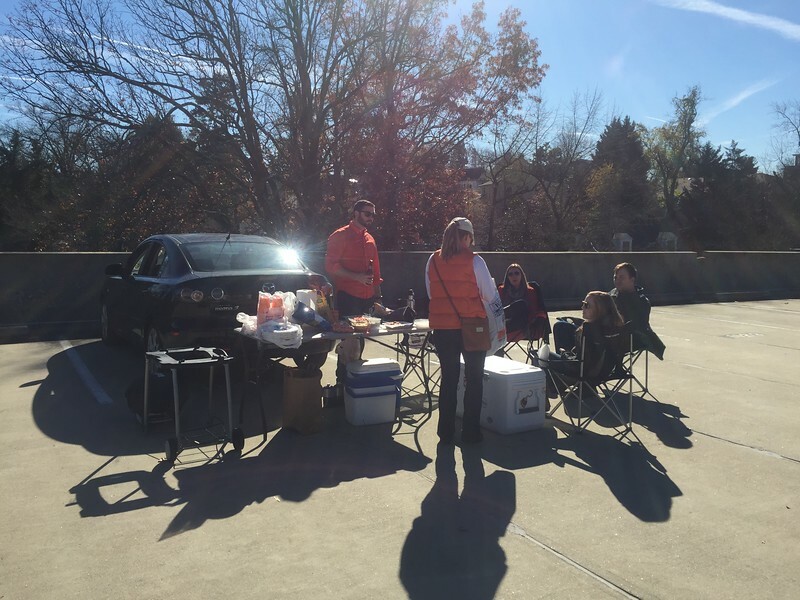 We had a great parking pass right at the stadium and the plan was to park the van there with all of our tailgate stuff and have everyone congregate there. We arrived only to find out that the van was WAY to big to fit in the tiny parking spaces let alone have any space to tailgate. After shuffling cars and parking the van elsewhere we commenced with our tailgate and ended up having a good time. 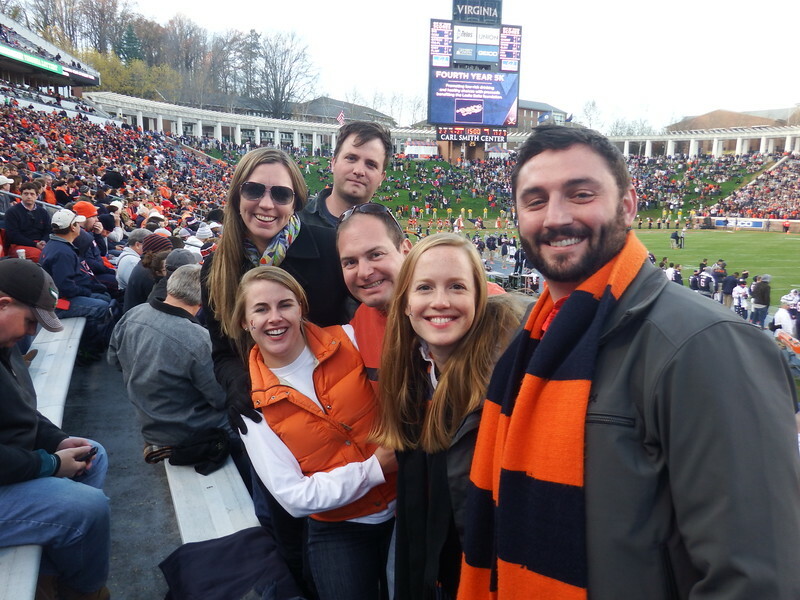 UVA even won the game!